Minimalistic design: Its super Stylish and Total Black! 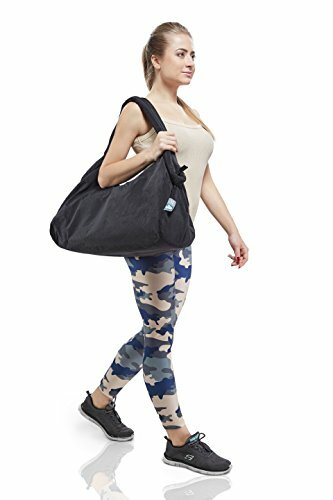 This Yoga Gym Travel Duffle matches most of your outfits! Super Functional: Zipper off the whole bag with one long durable zipper. Secure your small valuables (phone, key..) in the external zip pocket or in one of three interior pockets.